The province is expected to make pre-election announcements starting in September featuring housing affordability fixes. Unfortunately, it looks like the policies they are considering may be ineffective yet problematic. To find the right solutions, they need to be using accurate assumptions rather than myth. This study only considered multi-family capacity, not any of the other zoned capacity across the city. The report also notes that the city anticipates additional capacity beyond the year 2041 in these zones. Plus, the city has done more rezoning since the report was written in 2014, to create even more supply. The city is also approving a record number of new development permits. According to a recent city information bulletin, they are building way more than outlined in the Regional Growth Strategy and are leading the region on permit approvals. The city says, “this data demonstrates that new housing supply is at record levels and exemplifies the fact that we are approving significant new housing stock”. Clearly, we do not have to create more zoning supply in Vancouver to meet regional growth. There may be other reasons to adjust zoning, but there is no rush. It must be done very carefully since upzoning causes speculation that drives land inflation. This has the unintended consequence of making housing even less affordable. Increasing zoning supply generally won’t reduce prices for the end product either. In order to get bank financing, developers pre-sell their units and will only go ahead with the project if they can get their price. 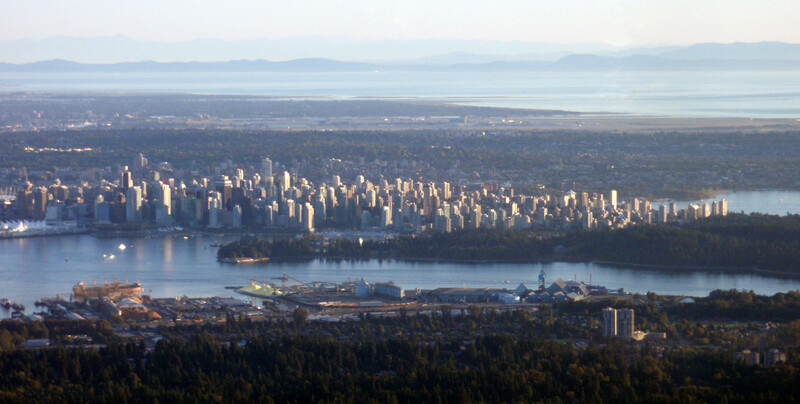 Simplistic supply and demand economics to create affordability may work in a closed economy, but not with the global capital currently flowing into the Lower Mainland, and the City of Vancouver in particular. As long as real estate is disconnected from the local economy, it doesn’t matter how much new stock we build, it will be beyond what most local residents can afford. The 15 per cent property transfer tax surcharge for foreign buyers may not be the windfall of revenue expected. There are many ways to get around this tax. Foreign capital can be exempt from the tax if it goes through a local purchaser or corporation. The tax may also be successfully appealed through trade agreements such as NAFTA. Other regulatory measures will be required to deal with foreign investment and its impact on affordability. Provincial investment in infrastructure, such as transit, is dearly needed, however, the province must not further download onto cities to achieve this by appropriating from the limited civic tax base of property taxes and development fees. The costs of growth are enormous and mostly paid at the civic level. Development fees such as Development Cost Levies (DCLs) or Community Amenity Contributions (CACs) only cover about 10% of the costs, with general revenue (mainly property taxes) covering the majority of capital and operating growth costs. If the province expects these fees to go towards funding transit instead of civic infrastructure, there will be more density bonuses required to pay for transit and less civic revenue for the needed amenities for the increased population. Even as it is, the city is becoming amenity deficient for the amount of growth we have taken on to date. There is a structural loss of green space and recreational facilities. Building housing on School Board and Park Board land, such as proposed for the Britannia Centre in the recently approved Grandview Woodland Community Plan, is adding many more people with less amenities. The school and park systems need to be protected, funded and expanded, not used for yet more housing. Tying provincial transportation funding to transit oriented development is not a vote-getter. It tends to be implemented in a dogmatic way that forces tower forms that are disconnected from the surrounding community context. Vancouver was built prior to the common use of the automobile. It was designed around the streetcar system that has all areas of the city within a 10 minute walk of an arterial, making the city inherently transit oriented. All we need is more frequent reliable electric transit to support mode shift. In the city we need transit to serve the existing population rather than having transit form new land use patterns like in the developing suburbs. Using transit to dictate massive changes in land use in an establish transit oriented city like Vancouver, is letting the tail wag the dog. Land use should be based on local community planning with transit oriented development in scale with the neighbourhood context. For example, the Canada Line along Cambie Street was already at peak hour capacity upon completion. That was entirely due to mode shift without any upzoning. Although some of the rezoning since then may be justified, there is no justification for the major tower developments at Oakridge and Marine Drive that put the transit way over capacity. And phase three of the rezoning process for the Cambie Corridor is still yet to come. The dogmatic application of transit oriented development is not considering the capacity of the system or the surrounding neighbourhood impact. So increasing housing supply and tying it to transit funding are not the solutions to affordability. But there are real solutions, although complex. These will be for a future discussion. This entry was posted in Elizabeth Murphy, Vancouver Sun and tagged Affordable Housing, Community Plans, Elizabeth Murphy, Transit, Vancouver, zoned capacity. Bookmark the permalink. 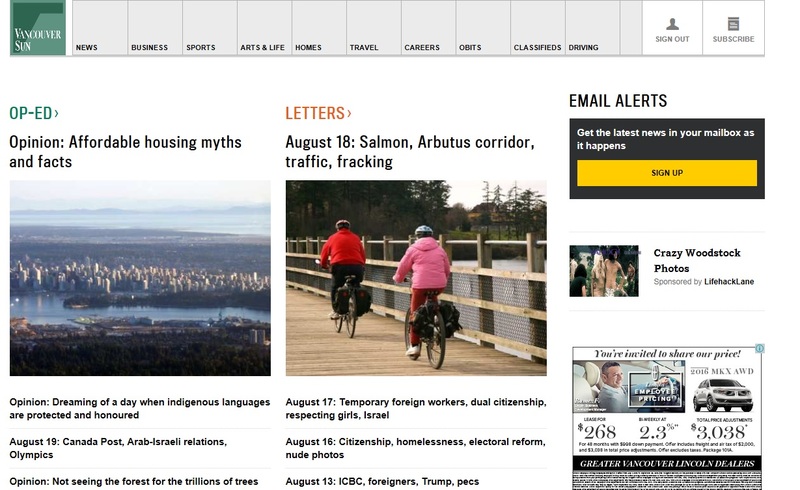 The article states “According to a recent city information bulletin, they are building way more than outlined in the Regional Growth Strategy” – referring to Vancouver. However, this also applies to the City of North Vancouver which is now close to the 2041 Regional Growth Strategy targets – 25 years ahead of schedule. Comment: Very few experts have the independence and courage to speak up and challenge the industry-dominated discussions about solutions to affordability crisis. Elizabeth Murphy is one. Some excerpts… The city is also approving a record number of new development permits. According to a recent city information bulletin, they are building way more than outlined in the Regional Growth Strategy and are leading the region on permit approvals. The city says, “this data demonstrates that new housing supply is at record levels and exemplifies the fact that we are approving significant new housing stock”. Increasing zoning supply generally won’t reduce prices for the end product either. 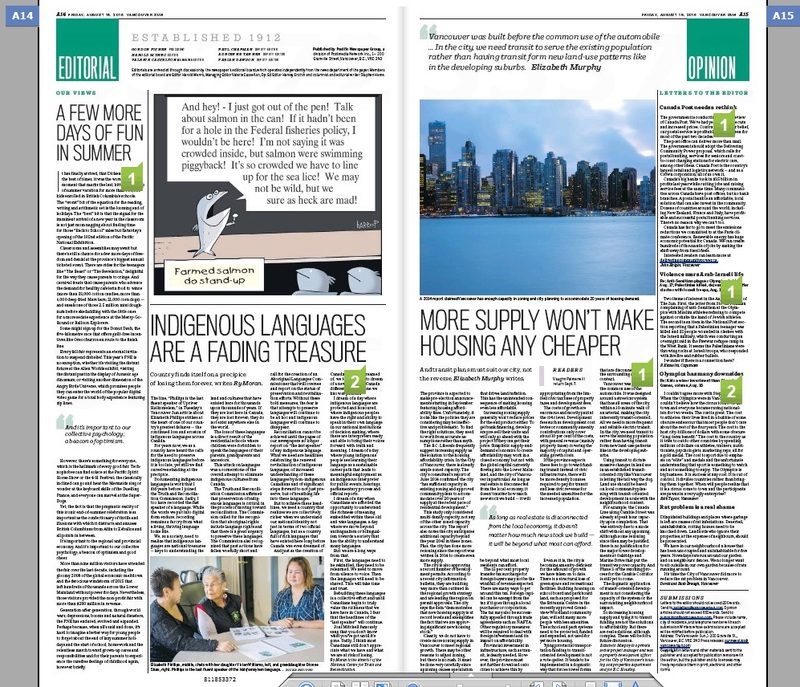 … Simplistic supply and demand economics to create affordability may work in a closed economy, but not with the global capital currently flowing into the Lower Mainland, and the City of Vancouver in particular. As long as real estate is disconnected from the local economy, it doesn’t matter how much new stock we build, it will be beyond what most local residents can afford. The 15 per cent property transfer tax surcharge for foreign buyers may not be the windfall of revenue expected. There are many ways to get around this tax. … So increasing housing supply and tying it to transit funding are not the solutions to affordability. But there are real solutions, although complex. These will be for a future discussion.